Valentine's Day is right around the corner, so a heart mani is in order. This is another color-changing thermal gel polish I received from Born Pretty Store in exchange for an honest review. Like Forest Talk, Bunny Dream also has three different colors - translucent pale pink (warm), bright pink (cold), and purple (super cold). 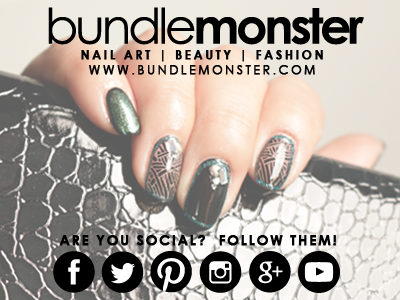 Thermal polishes always look great on longer nails since the tips are cooler, which gives them a different color. And the three colors in one polish is really something special. I like that the color change is so drastic between the translucent pink and the purple. 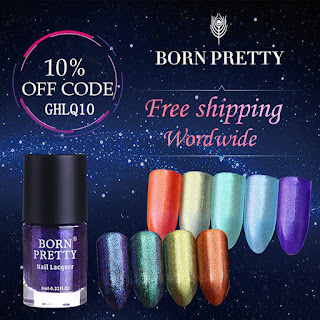 For this or other nail art supplies, use coupon code GHLQ10 for 10% off at Born Pretty Store. Apply the base color with Dream Bunny. Use white stamping polish to add hearts on each nail.